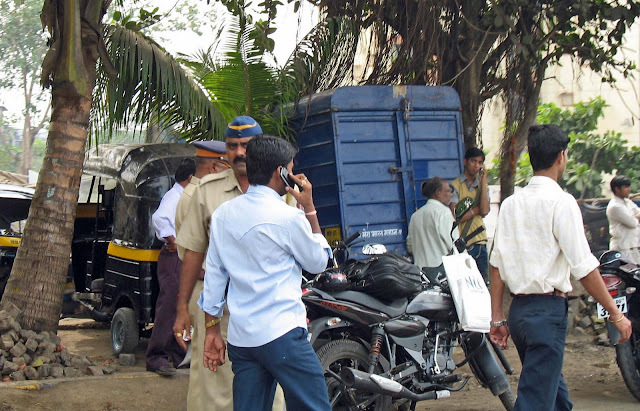 Here are some pictures of the Mumbai Police at work. 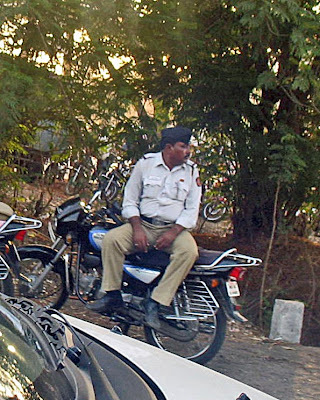 In the first image you can see that a traffice policeman has stopped a motorcycle and is saying something quite curtly to the driver. In the photo below there is a group of traffic policemen and a policewoman who have stopped several two-wheelers for checking. 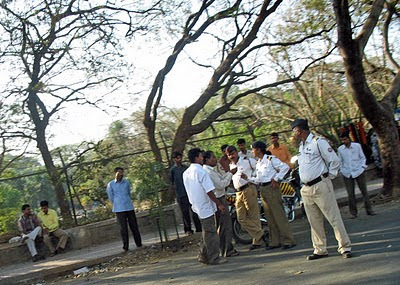 You can see a man arguing with the police, something quite common in India! 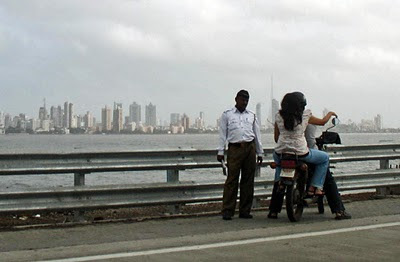 The picture below was shot on the road leading to the Bandra-Worli sea-link. 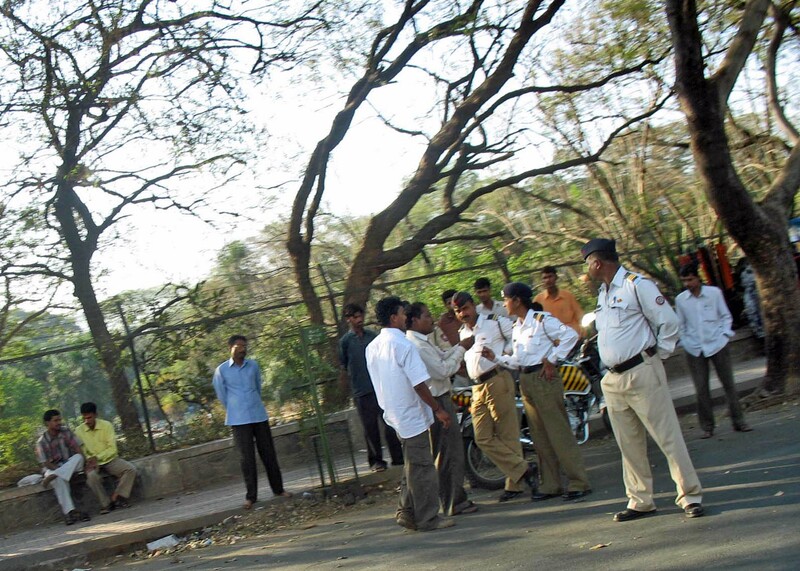 The traffic policeman has stopped a motor-cyclist from going up the road. 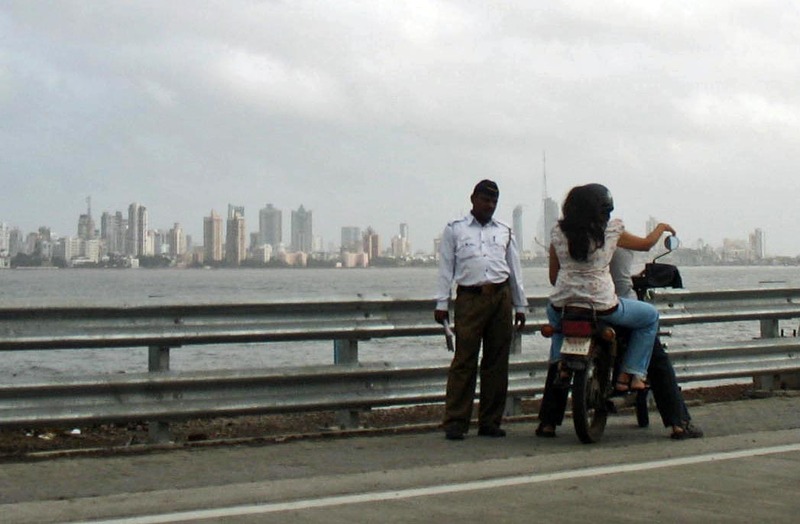 Two-wheelers are not allowed to go on the sea-link. 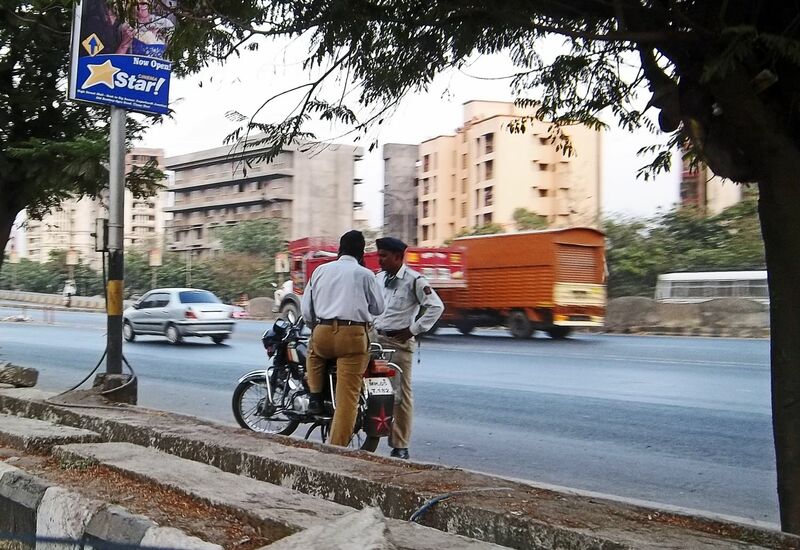 Here is a picture of two traffic cops talking to each other on a major highway near Thane. The motorcycle belongs to them. 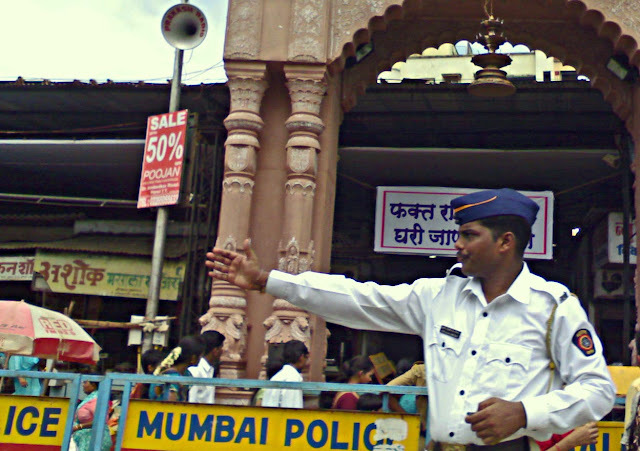 Here is a policeman directing traffic with his hands during the Ganesh Festival when there are long processions on the road. Barricades are often put up. Traffic signals are of no use due to the irregular and heavy traffic. 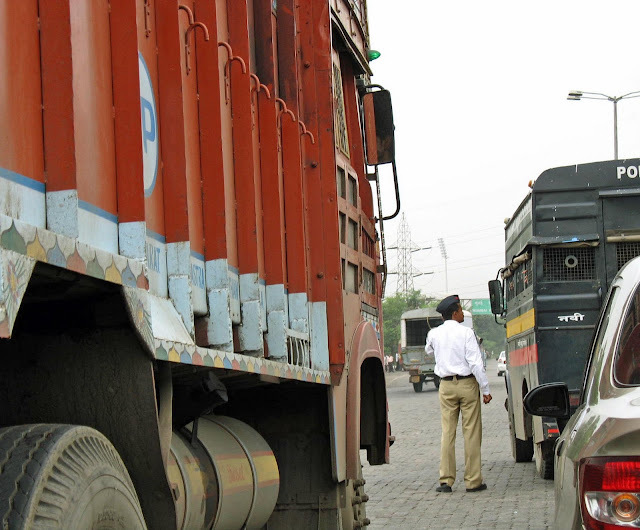 In the image below a truck driver is speaking to a traffic policeman. Bribe giving and taking is common amongst truckers and policemen, although this photograph does not capture it. 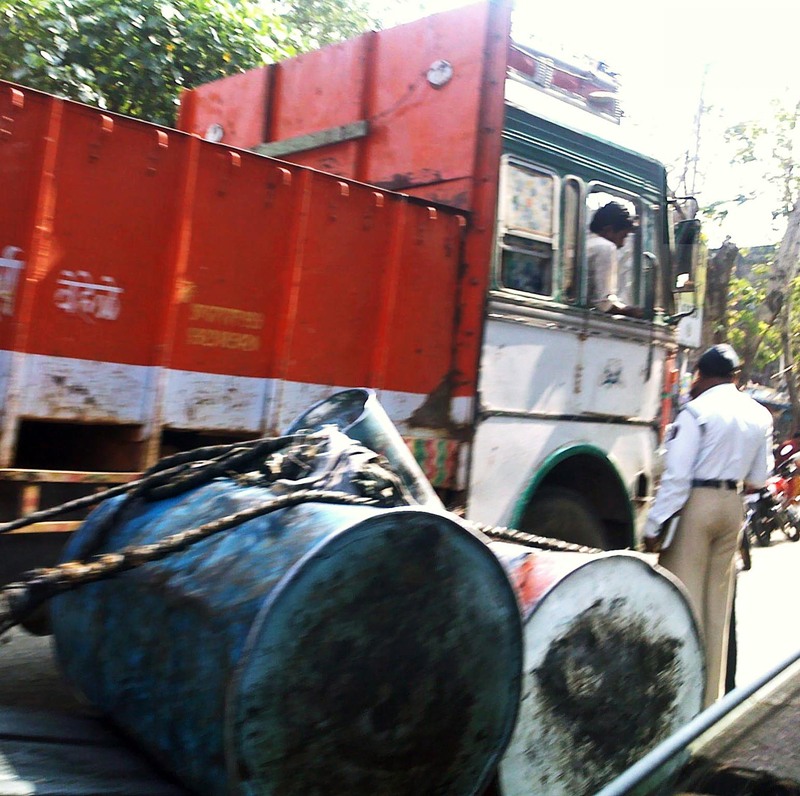 The photograph below was shot at a busy traffic signal. 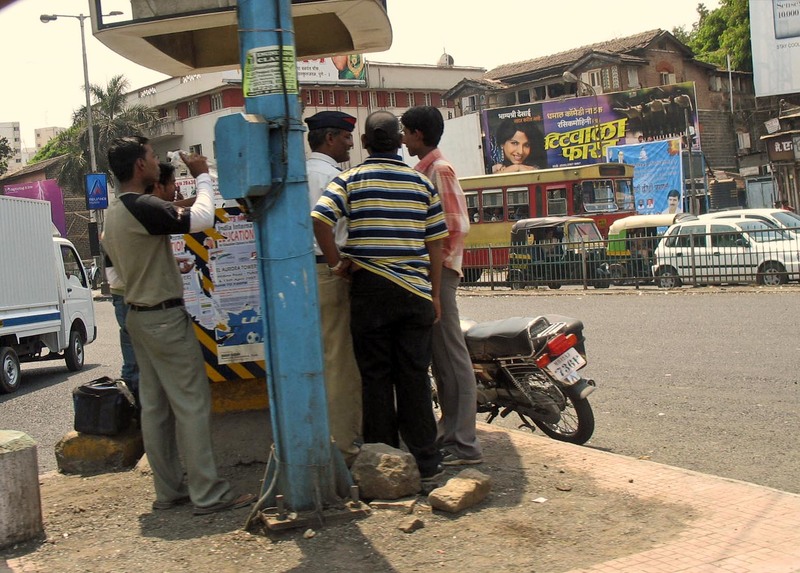 The traffic cop is speaking to some policemen in a police van that has pulled up near the signal. This last picture has people frantically calling up their friends and relatives after they were stopped by the traffic police. 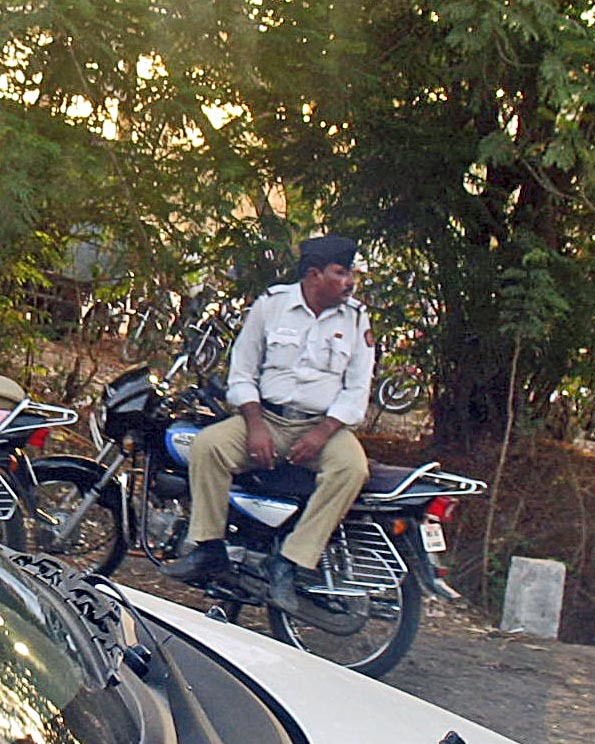 This is a photograph of an overweight policeman sitting on his motorbike outside a stadium. or more pictures on "Security"